Vinyl siding is the form of exterior cladding that home inspectors are likely to encounter most frequently. Homeowners, remodeling contractors and builders often choose vinyl siding as an alternative to wood and aluminum because it is attractive, durable, easy to maintain and cost-effective. 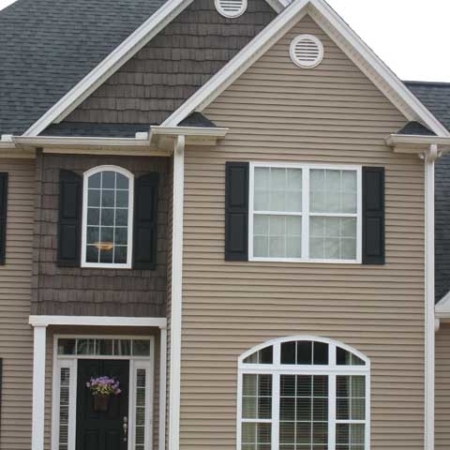 Vinyl siding is often textured to resemble wood or stone in a variety of colors. Although it is a very popular and well-regarded product, homeowners may want to be aware of some of the downsides of using vinyl siding if they are thinking about remodeling or building a new home. CINC inspectors in Raeford NC have examined many homes with vinyl siding and have benefited from knowing more about this most common type of exterior cladding, including what to look for during an inspection. It will last a long time when properly maintained. It does not dent easily. Vinyl siding provides a supplemental rain screen. It is designated as a water-resistant barrier. 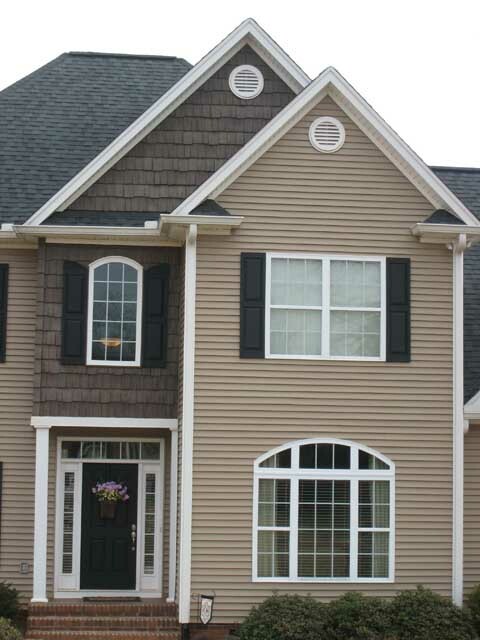 Properly installed vinyl siding is designed to let the material underneath it breathe. In extreme weather conditions, vinyl siding is as susceptible to damage as any other siding. In severe cold, vinyl siding can become brittle and more susceptible to cracking if something impacts it. Extreme heat can also cause vinyl to melt or distort. There have been cases reported of extremely hot reflections from nearby windows causing warping and melting. Exterior vinyl siding is not a form of insulation. It is simply an exterior cladding, but some salespeople misrepresent this fact with claims that new siding will aid energy efficiency. This is only applicable for siding that includes special insulating inserts or backings, but not to the vinyl siding itself. Vinyl siding is not a watertight covering. If a fire occurs, vinyl siding will melt or burn and may release toxic chemicals, making the situation more dangerous for occupants. Some groups believe PVC itself can have a negative impact on health and there is much debate about these claims. Problems can occur if incorrect installation is allowing water to become trapped behind the siding, which would need to be addressed before water damage becomes an issue. In areas with a high concentration of historic buildings, the use of vinyl siding may be a controversial choice because of concerns regarding how its aesthetics may impact historical preservation and property values. Evidence has been presented that the production of vinyl may be hazardous to those in close proximity to production facilities. Recycling of exterior vinyl siding is currently limited to unused scraps and pieces that have never been installed. Ripples in the siding can result from stapling or nailing through the face of the siding, which is an incorrect installation. Caulk is not necessary in spots where panels meet the receiver of inside corners, outside corners or J-trim. Caulk is also not needed at overlap joints. Normal expansion and retraction of the vinyl requires at least ¼-inch of clearance at all openings and stops. Distortion and buckling of panels may be caused by fasteners that were not driven straight and level. 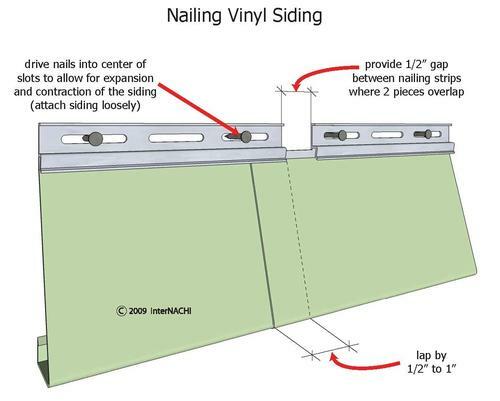 Correct installation requires that fastener heads not be driven too tightly against the siding’s nail hem, but should leave about 1/32-inch of clearance between the fastener head and siding panel. This is about equal to the thickness of a dime. For a proper hold, fasteners are best driven at least ¾-inch into a surface meant to accept nails, such as substantial sheathing or furring strips. A ½-inch gap should be left between nailing strips where two pieces overlap. Fasteners installed properly will be in the center of the nailing slot. Since wind-driven rain can easily get into the space behind the siding, building paper or housewrap should be installed behind the siding to protect against water damage. Drainage holes or slots in horizontal vinyl siding allow water behind the siding to drain. It is best for lap joints to be staggered and not lined up vertically. When properly installed, surface-mounted fixtures, such as exterior lights, should not be mounted directly to vinyl siding. They should be mounted on mounting blocks instead, since fasteners penetrating the siding will restrict the siding’s natural expansion and contraction, causing problems. Corrosion-resistant fasteners are always best for any outdoor installation. 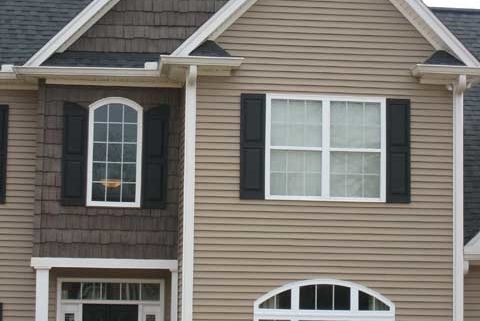 When properly installed, vinyl siding will terminate in J-molding around windows and doors. While vinyl siding has become extremely popular due to the advantages it provides, in some instances, such as when historic preservation is of primary concern, it may not be the best choice. CINC inspectors in Raeford NC who know more about vinyl siding will be well-prepared to answer clients’ questions. In general, proper installation is the main concern with this type of exterior cladding. When correctly installed and maintained, vinyl siding is attractive and durable, and can last for many years. Proudly Providing Home Inspection Services including Residential Home Inspections, Commercial Inspections, Pre-Drywall, Mold Testing, Pool & Spa Inspections, Private Well Inspections, & Well Water Testing to Harnett, Cumberland, Hoke, Robeson, Richmond, and Scotland Counties in the Central Carolinas – including but not limited to Fayetteville, Lumberton, Sanford, and Laurinburg. 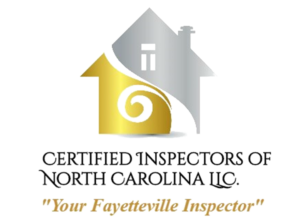 At Certified Inspectors of North Carolina LLC, our job isn’t complete until you feel comfortable and all of your questions and concerns are answered.